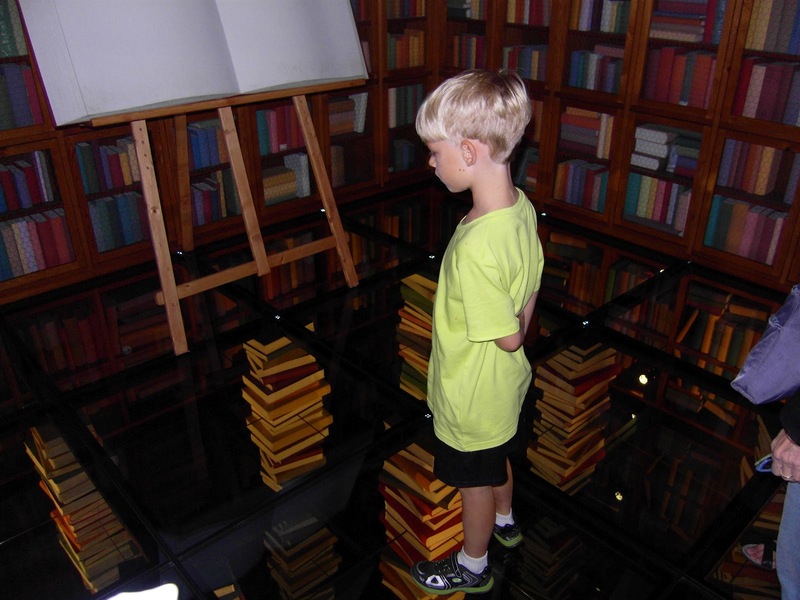 If my children are going to last for longer than 30 minutes in a museum or other cultural outing, they need to be able to interact with their setting. Room after room of paintings, no matter how famous they are, is not going to cut it. Nor for that matter is a beautiful gothic church, even if it does house the remains of Christopher Columbus. Truly, the best museums and other cultural sites are those designed for children and people of all ages. 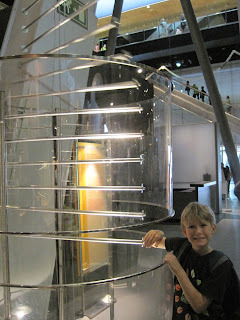 Navigation museum in Seville -- FABULOUS for people of all ages! Which famous movie was filmed here? horrible, but my kids loved it. Today, my oldest son and I rode around Seville on rental bikes. The city operates a bike rental program with easy pick-up and drop-off kiosks throughout the city but, unfortunately, these do not include bikes for children (at least not that we could find), so we had to track down a private rental facility. Like Barcelona and San Sebastian, we have found Seville to be a great city for biking with children. There are dedicated lanes for bikers throughout the city, and you can get pretty much anywhere you want to safely via bike. The temperature has dropped a bit but it is still scorching hot (the climate here is very similar to Austin's, although less humid and less annual rainfall). Luckily, we continue to find lots of shade here, even on our bike routes. Seville is filled with trees and other shade structures. "The most important factor beside Sevici bikes is that the municipality created more than 120 km of safe bike paths throughout the city and did it fast. Bi-directional green paths follow main avenues. They are continuous (properly connected at crossings), uniform (green surface, 2.5 m wide) and segregated from motorised traffic. Whole network cost 32 million Euros. Measures were based on sustainable mobility plan. Seville proves that development of cycling can be achieved fast." And a great blog entry from People for Bikes on Seville's commitment to cycling. Apparently Seville's 87-mile network was built in just 3 years (2007-2009), and now 70,000 bike trips are made every day vs 2,500 in 2002. Biking over the river. See the shade structures ahead. Most of the bike lanes we rode on were dedicated lanes on the sidewalk. One thing our time in Spain continues to remind of is the delightfulness of inviting and vibrant public spaces. These are the essence of what make a city come alive and give it vitality. 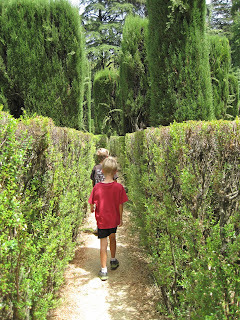 Throughout our time in Spain we have come across so many wonderfully designed public spaces. One of our favorite types of public space is the public plaza, which come here in all shapes and sizes. These spaces, when designed well and located in the right places, are a treasure. On the home front, urban planners just presented to the Austin City Council the concepts for a pilot form-based code for Airport Boulevard in Austin that will focus on improving the urban landscape along that corridor. What remains to be seen in the Airport Boulevard make-over is whether the city can figure out how to successfully incorporate vibrant public spaces that are attractive to residents of all ages. Here's to hoping that well-designed, family-friendly urban plazas are part of the make-over. Neighborhood plaza adjoining the outdoor cafe we ate at last night. There were several small kids who lived in an apartment next door riding their bikes around. And other kids playing on the statute steps to the right. San Antonio (close to Austin, San Antonio has been doing lots of interesting work recently on transforming its downtown public areas into lively, family-friendly places). We have all developed a serious fever during our time in Spain -- Euro Cup fever! Right now the whole country is fervently celebrating the Spanish victory tonight in the semifinals. ¡Viva España! We watched the first half of the game in a bar on Plaza De La Encarnacion, along with what seemed to be most of Seville's population. The plaza used to be a blighted car park lot but last year was transformed into a beautiful public square with an iconic and stunning building (Metropol Parasol). The Metropol, which is acclaimed to be the world's largest wooden structure, incorporates a ramp leading up to panoramic views of the city. But the central function of the building is to provide much-needed shade in a city that gets up to 110ºF in the summer. I had a hard time capturing the structure with my camera. Some better pictures are on this site. 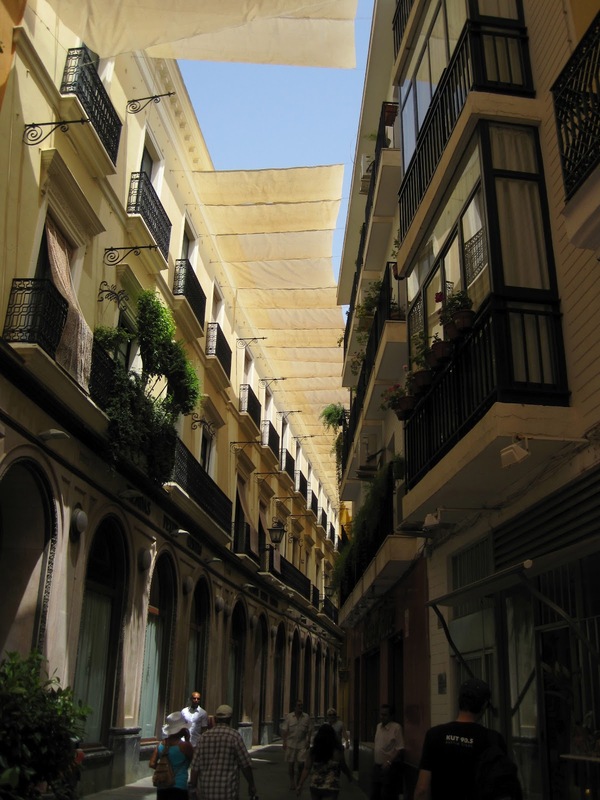 Seville is incorporating other innovative types of shade as well, beyond just trees, such as the awnings in the picture below, which we have been finding covering many of the main pedestrian corridors in the central city. The addition of shade can help convert otherwise inaccessible areas of a city into lively plazas, parks, streets, and other gathering spots. Since it is still so hot here, we cherish any respite we can get from the sun so that we can be out enjoying the city. 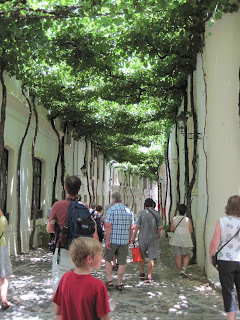 Our trip here has really hit home for me how important shade is for creating active public spaces in a hot climate, and that there are lots of creative ways to provide for shade in addition to trees. 4 more days of Spain, and 5 more days until the Euro Cup Finals! Coming soon: more on plazas, Seville biking, and what makes for a child-friendly museum. 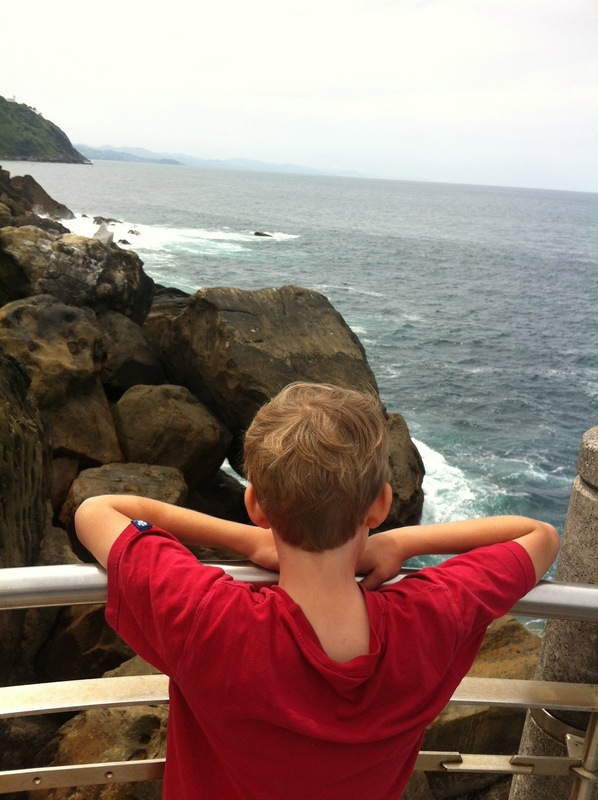 BTW: My oldest son, never one to go with the flow, decided two weeks ago that he was rooting for France. Even tonight, he insisted on wearing his France soccer outfit while we watched the game in the plaza, much to the chagrin of his parents! Gotta love these awnings that provide shade in this shopping corridor. The Which Way blog is back in commission after being outside a WIFI zone the past several days. We arrived in Sevilla today, which we quickly discovered is sweat-drippin HOT. The summer climate here is similar to Austin's. 110˚F today. Ugh. Notwithstanding the heat, we will be testing out the streets, bike routes, and parks here over the next week. I hope to post some blogs here on how Austin and Seville compare with their child-friendly orientation. A great story ran on KUT a couple of days ago on a similar topic: whether Austin's downtown is poised to become more family-friendly. One thing that makes a huge difference to a downtown being family-friendly is shade from the sun, especially in this heat. Hot streets means hot children and melt-downs trying to get anywhere. The best streets are those with shade cover, whether natural or man-made, although here's to more trees. On the topic of the sun, an interesting tidbit about Spain is that it is home to the world's first commercial solar power tower, located just outside of Seville. The tower, which was constructed in 2007, is part of a series of solar power generation plants to be constructed in the area utilizing the latest technology. You can read more about it here. Spain has been a worldwide pioneer in green energy (in 2010, 18% of the country's power was from wind and solar), which was evident in all of our drives across Spain, where we saw field after field of wind towers and solar panels. However, the subsidy programs used to help fund the power have been very controversial here, especially with the country's economic woes, leading the Spanish government to recently halt the subsidy programs. One of the many wind power fields we passed on our drives through Spain. As you can see from the picture below (if you look closely at least), much of the older housing here in Granada was developed around a central private courtyard. The houses were originally occupied by one family, most likely, but now typically consist of several apartments that all share the common courtyard. Courtyard housing is a style of housing that dates back many thousands of years to some of the earliest urban settlements and was common in ancient Roman times as well as Islamic architecture. What excites me about courtyard housing is its resurgence in newer apartment developments as a way to provide high quality and safe access open space for families living in a dense urban setting (a small balcony doesn't cut it). As a reporter from the L.A. Times wrote in an excellent article 7 years ago, "The courtyard apartment is an idea whose time has come back. Amid today's high-rise building trend, the need for such urban oases -- infused with a communal spirit -- is greater than ever." I am especially excited about the opportunities to develop more of these courtyards in Austin in a way that is attractive enough to draw families with children back to the urban core. The City of Portland even hosted a design competition to induce more development of this form of housing for families with children. There are many other examples of "courtyard apartments" across the U.S. and Europe, including these from Copenhagen and San Francisco. More photos below from our time in Granada today, which centered on a tour of the Alhambra and then recovering from our tour of the Alhambra. The Alhambra is a enormous complex of palaces and fortresses constructed and occupied by the Islamic rulers of Granada starting in the 1300s (until the Catholic monarchs, Queen Isabella and King Ferdinand and their forces, drove them out in 1492). The pictures below really can't do justice to capturing the immensity and beauty of the Alhambra. For more info on the Alhambra and its historical and architectural significance, here is a wiki link. Oh, and I don't want to forget adding this: Bill joined us yesterday. We are thrilled to have him here with us. A photo from the courtyard of one of the palaces at the Alhambra. Another photo from one of the Alhambra palaces. Our tapas intake for the day: manchego cheese, gaspacho, and jamon with melon. After our Spanish lessons this morning we set out on another bike ride in San Sebastian, appreciating the fact that the temperature here today was 65ºF. 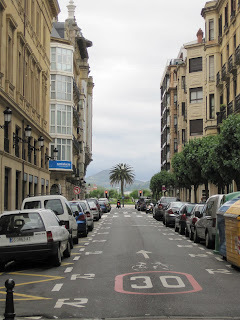 I have written prior posts on this blog about our first biking experience in San Sebastian as well as Barcelona. A lot of the bike lanes here are "cycle tracks," which are intended to be used exclusively for bicycles and are safely separated from vehicle travel lanes, rather than solely adding paint striping onto the same roadway used by cars. Cycle tracks are super family-friendly. I yearn for more of these in Austin! Truly yearn. 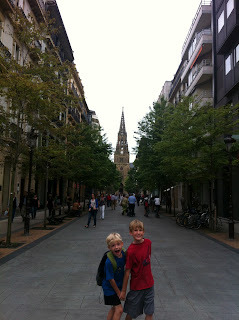 We rode our bikes around San Sebastian today for 3 hours, primarily on the city's cycle tracks. One of the key safety features of the cycle tracks here is the use of bollards where the bike lane runs on the street. With the use of these, even when we were riding right next to cars, I felt like my children were safe. The bollards here appear to be plastic, so I assume they would be fairly reasonably priced to install. In front of our apartment. Cycle track separated from road via a curb cut. although not in one sitting. Close up of a bollard. Daily gelateria stop -- which is why we had to bike for 3 hours! Great publication on cycle tracks prepared for Portland's regional government, analyzing best practices for cycle tracks, including findings from Amsterdam and Copenhagen: Cycle Tracks: Lessons Learned. We are on week two of our time here in San Sebastian. Having a second week here is a luxury and has allowed us to slow down on cramming in tourist activities and to live more in sync with the rhythm of the city. We have finally honed in on our favorite gelateria and our top 3 favorite bakeries. One of the traditions here in San Sebastian that we have been taking on is the afternoon stroll. After school and work get out, the residents go on walks together throughout the city center. We love this tradition. I still cannot get enough of the streets here, which allow us to walk and even play safely in a highly urbanized setting. There are streets where cars have the right of way, and other streets that are open to cars but where pedestrians have the right of way (such as the street where our apartment is located -- see the first picture below). And then there are streets which are completely closed to cars for certain times of the day (or at all times). These latter two categories of streets are alive with people during the afternoon strolls as well as into the night. The strong pedestrian orientation furthers a robust retail environment, along with a high level of social interaction. I love the practice here of designing streets as social spaces. On the play front, we saw lots of children riding their trikes and playing ball in the streets, especially in the larger plaza-like areas. A block from our apartment. ...but my kids can still safely cross. Kids playing ball in plaza-like street. Today we ventured outside of San Sebastian into the surrounding Basque countryside and a few nearby towns. My kids' favorite parts of the day: cannons and puppets. This photo of a 400-year-old cannon is a reminder that it doesn't take a traditional playscape to engage children in play. 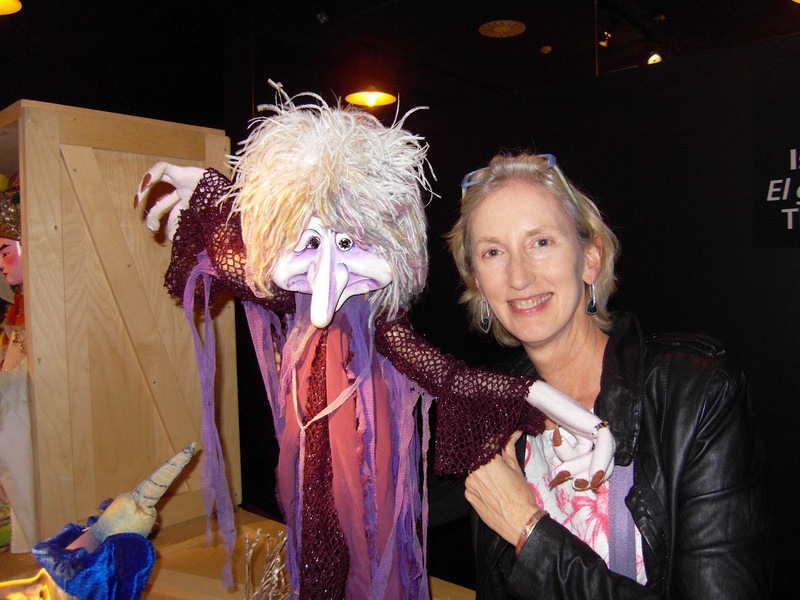 On our travels today, we also stumbled across one of the most amazing child-oriented museums I have ever visited: The International Puppet Museum in Tolosa, Spain. An enchanting and incredibly engaging museum -- located in a town with a population of just 20,000 people. Fabulous place for both children and adults. (Unfortunately, I forgot to bring my camera into the museum with us, and the pictures I took on my phone did not turn out so well -- so I wasn't able to capture much of what we saw). 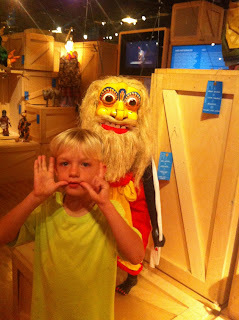 The museum reminded me of how magical puppets are for children. We came across lots of puppet theaters in Paris parks several years ago -- the theaters are widely popular there -- but we don't otherwise come across puppets that often in public places. We need more puppets in our lives! My sons came across a see-saw today in San Sebastian during our bike ride (but I don't know if the see-saw they went on can be considered an official see-saw -- there was a bit of spring action going on.). Lo and behold, I don't think they had ever been on a see-saw before in the U.S.
Whatever happened to all the see-saws we used to go on as kids? Remember that feeling on your rump when the person on the other side would get off too early? 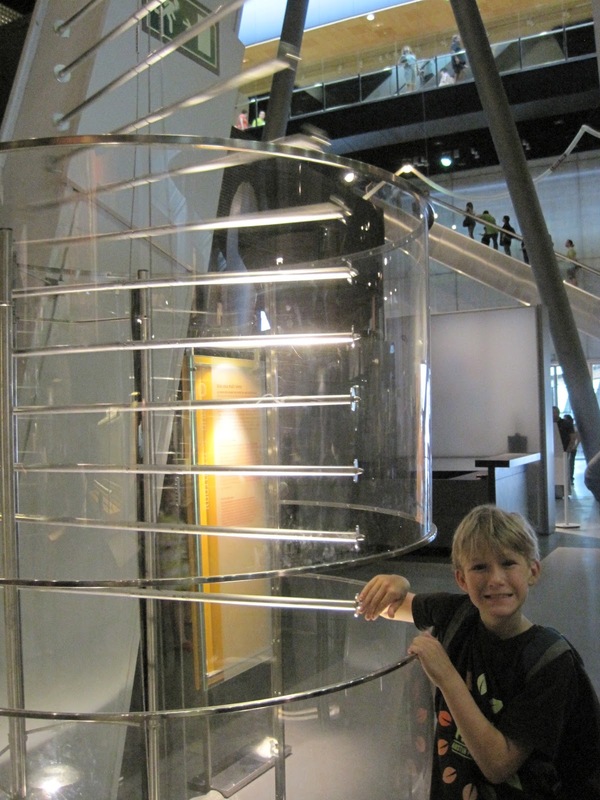 Or those metal slides that you could zoom down at 20 miles per hour and that would burn your rump in the summer? Those were a blast! Today we hit the streets of San Sebastian on our rental bikes, along with our friends Ann and Mark. Super easy to ride around with children without fearing for their lives. We had a blast riding around town and along the coast. A mix of dedicated bike lanes safely buffered from the car traffic lane and bike lanes integrated into the sidewalks. WHAT MAKES A GREAT CITY AND A CITY GREAT?